I was recently invited to attend a wine tasting at a gas station. I had to re-read the invitation to make sure I had read it right. 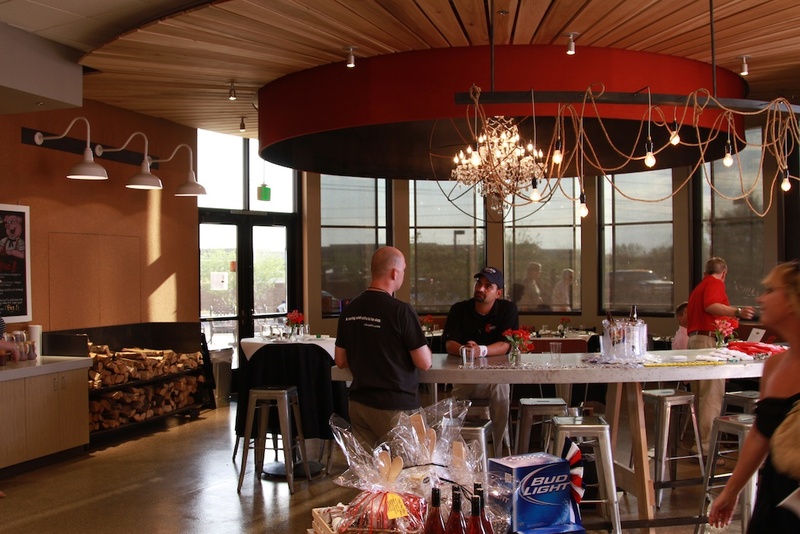 Yes, a gas station in North Scottsdale has a wine bar! 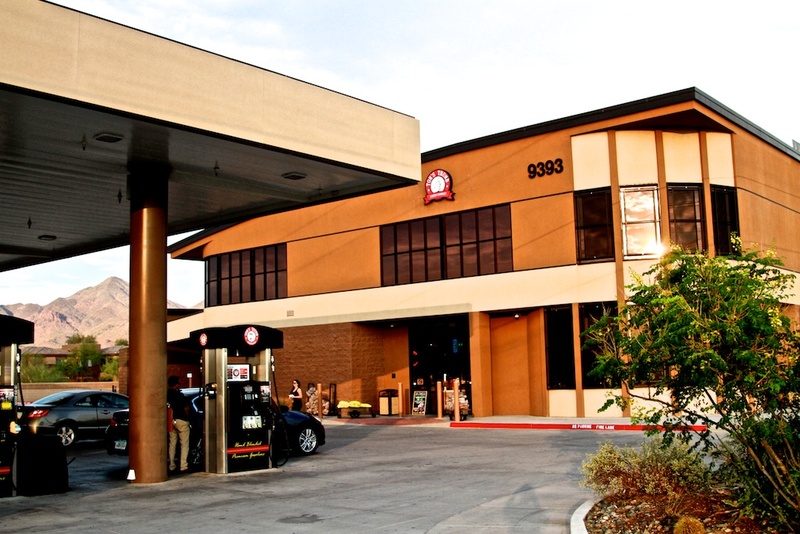 It looks like a gas station, but inside its oh so much more! I arrived at the address I was given (right next to the Ice Den), and yes, it looked like a gas station, albeit a nice clean gas station with a large office type building behind it. From the outside you would never expect what awaits you on the inside. Once inside, I immediately realized that this wine bar thing was the real deal. I was half expecting large bottles of cheap wine being served in red plastic cups, but that was not the case. I was greeted by Chuck Hesson, the market’s on staff Sommelier. After introductions Chuck took me on a quick tour. Chuck is a bona fide Som, Level II WSET. Chuck is from Texas originally and comes to Arizona by way of the Willamette Valley in Oregon. It was in Texas about 25 years ago that he met chef Tudie Frank-Johnson. Tudie is the award winning chef and Southern BBQ specialist who runs the Campfire Bistro at Tom’s Thumb. Tudie recently took home top honors at the ABC channel 15 Sonoran Living BBQ challenge. On our way to the wine tasting table we passed by the Gluten Free section. I know this is a wine blog, but as a gluten free person I am always happy to see the trend gaining popularity. The wine tasting table, is located in the back of the market, it’s private and quite, and the table offers a nice setting. After the tour, Chuck treated me to some Southern Style BBQ. He brought out an assortment of chicken, steak and pulled pork with 4 sauces (all gluten free and made by Tudie) He poured a couple glasses of wine to sample as well. First thing I noticed is THE APPROPRIATE STEMWARE! Even though the glasses were stemless, they were of sufficient size to properly swirl and sniff the wine. One of my biggest pet peeves is crappy stemware. I sampled A to Z Pinot Gris from Oregon. This wine is made by Rex Hill’s William Hatcher and it was a very nice summer wine, and for only $13 a bottle I will have to take a detour off the 101 Pima Freeway and grab a bottle or two. 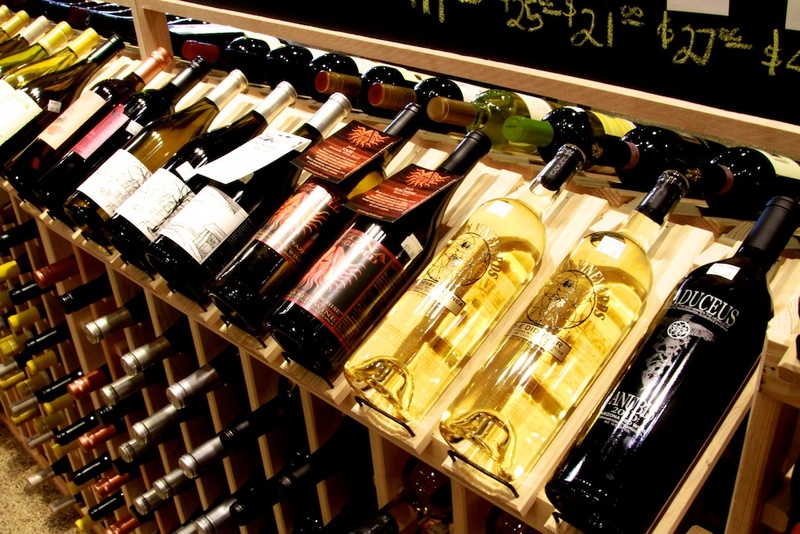 This summer the market is hosting some wine and craft beer tastings and educating customers on pairings with BBQ food. Check with them for time and dates. As I was leaving I thought to myself, they really ought to market this place as a Gourmet bbq and wine bar with a gas station instead of the other way around! 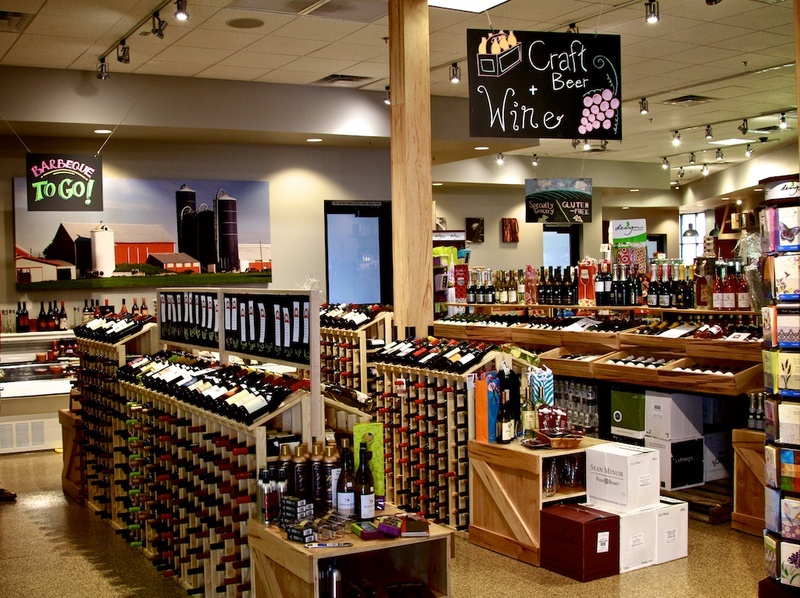 Have you been to Tom’s Thumb? 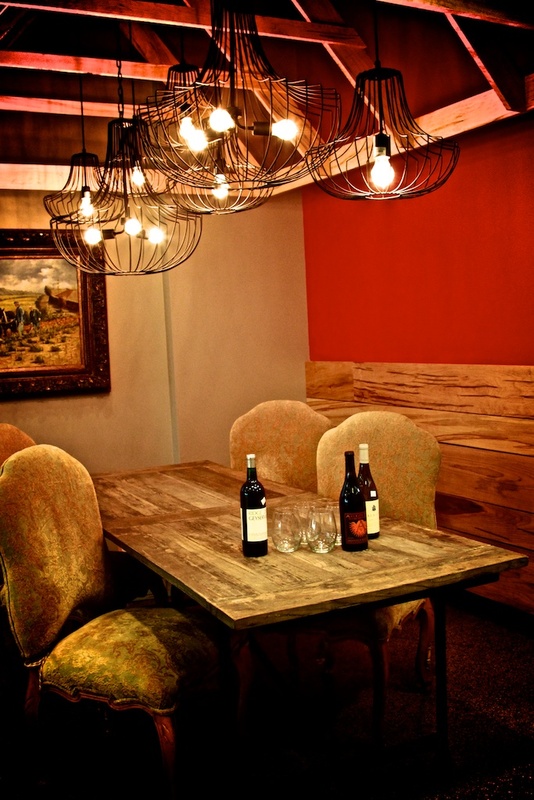 Have you found wine bars in any unlikely locations?